EXARC is now on Facebook as well. A group has been established about archaeological open-air museums, under the patronage of EXARC. 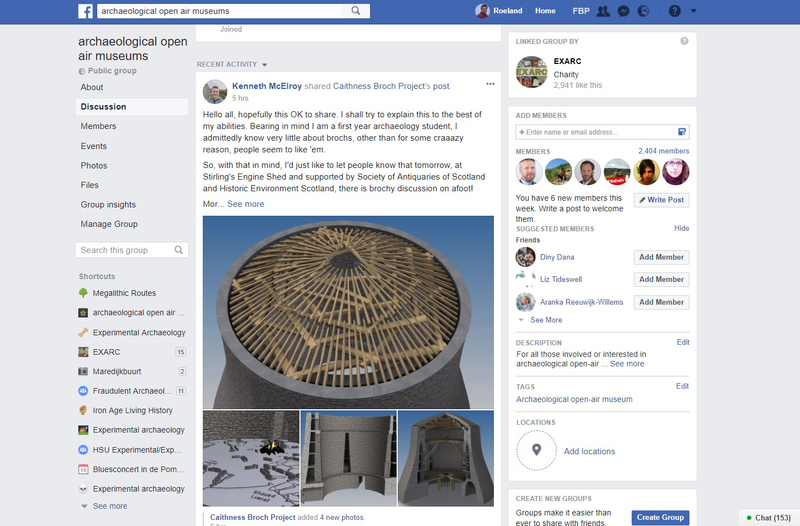 Messages refer for example to archaeological open-air museums in danger of being closed as well as calls for other Facebook groups about specific archaeological open-air museums. *It counts about 450 members by the end of 2011 (250 by end 2010).